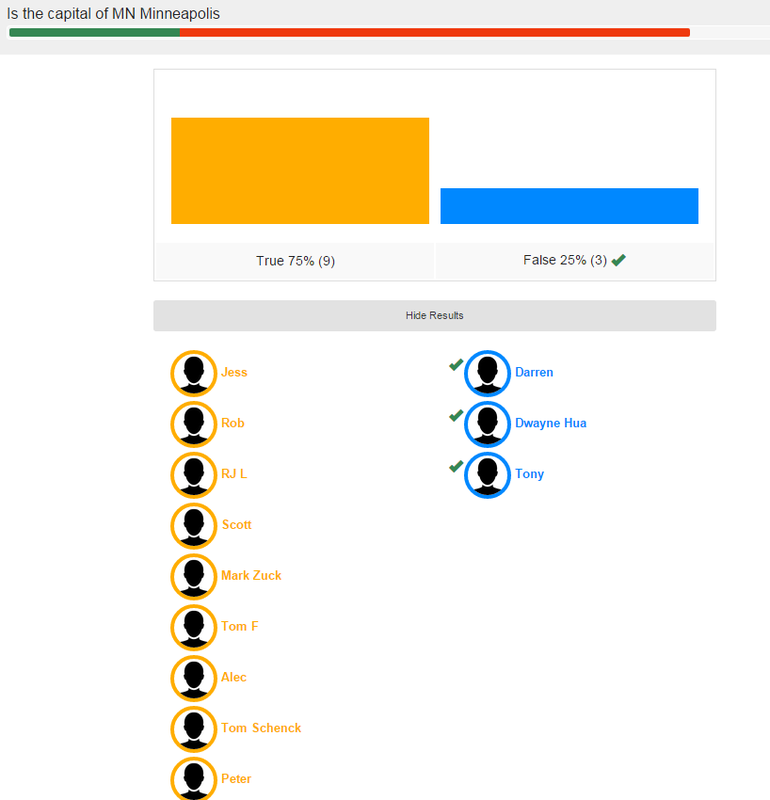 Follett Quizzes is an assessment tool which allows teachers to push an assessment to a class in real-time, as well as send a link (that can expire) to a group of students to take the assessment at anytime. This is a stand alone tool. 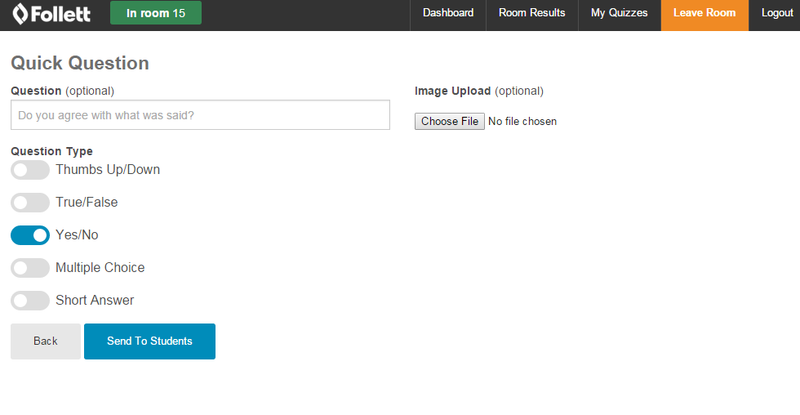 This tool also allows teachers to create and manage quizzes. 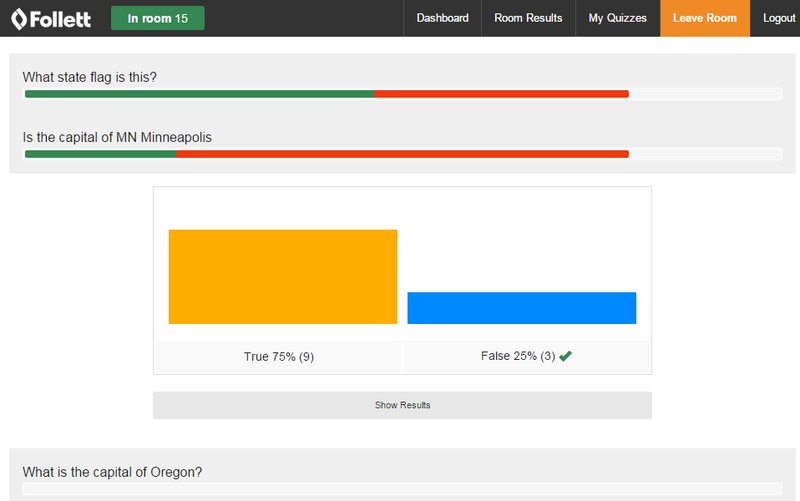 Unique to this tool is the real-time aspect of in class quizzes, results are displayed to the teacher in real-time. 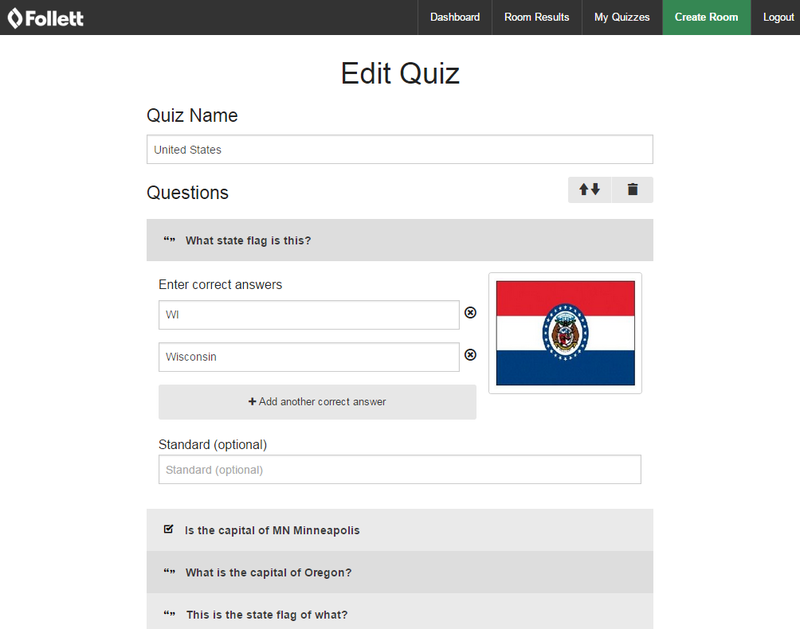 Follett Quizzes is not integrated with any Follett product, it was written in a manner that the tool can be used with any product in any way. 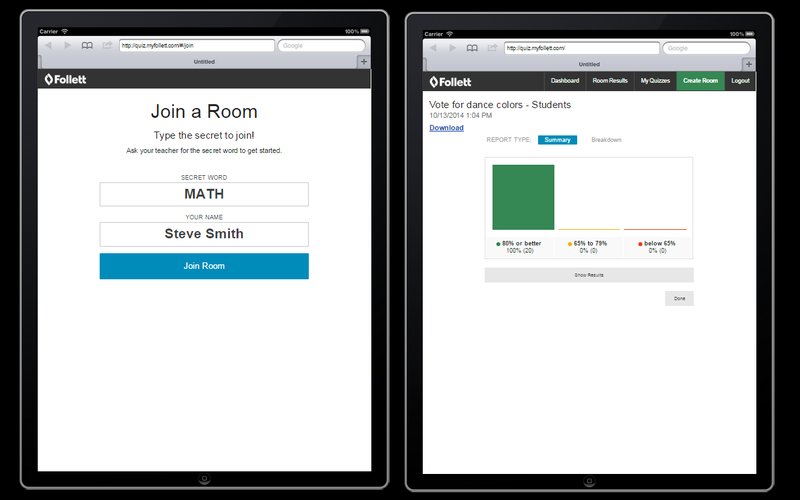 Follett Quizzes works with all of the new major browsers, including iOS and Android. 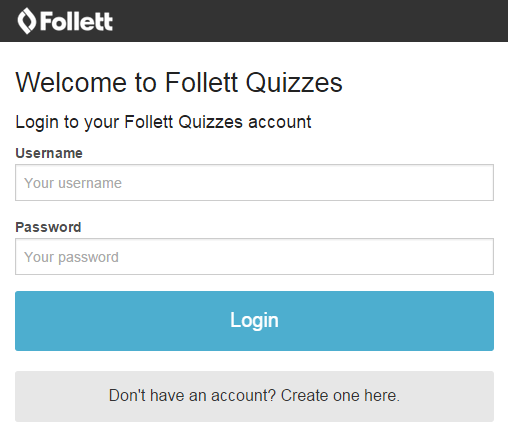 Follett Quizzes is free to use, creating an account can be done in seconds. 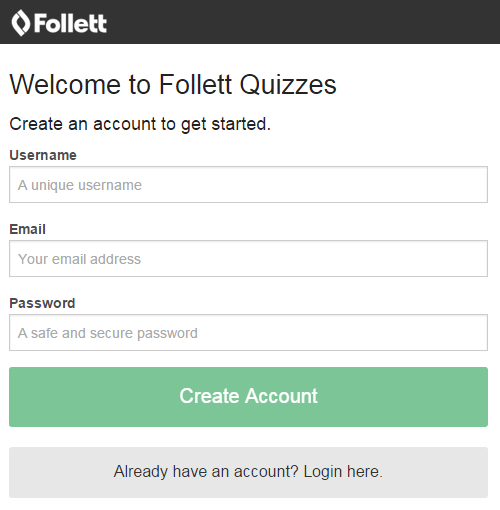 Simply go to FollettQuizzes.com and create a Teacher account. We also have iOS and Android apps for students.